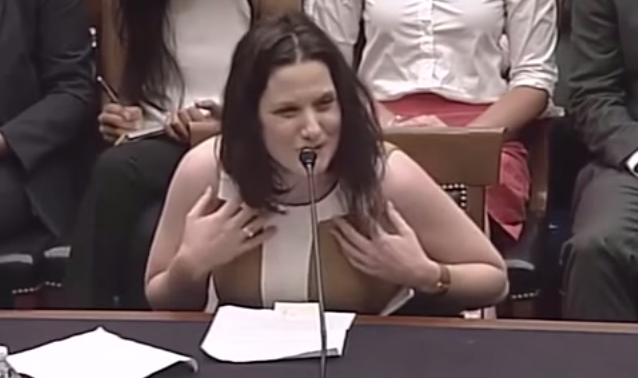 WASHINGTON — A 38-year-old woman who survived a saline abortion in 1977 shared her story before Congress on Wednesday, speaking out against abortion and Planned Parenthood’s continued slaughter of unborn children. Gianna Jessen was miraculously born alive at a Los Angeles hospital after her mother sought an abortion while seven months pregnant. Her mother had been advised to have a saline abortion, which burns the child with a caustic chemical and then suffocates them to death. The dead child is then removed the following day. It was soon declared that Jessen had cerebral palsy, suffered from the lack of oxygen to her brain during the abortion. Jessen was placed in foster care and soon adopted, and now works to save lives by telling her story nationwide. “Within the first year after my birth, I was used as an expert witness in a case where an abortionist had been caught strangling a child to death after being born alive,” she shared. Jessen also spoke about the need for Americans to end abortion, and to protect the rights of unborn children from organizations like Planned Parenthood who shed innocent blood. “Planned Parenthood is not ashamed of what they have done or continue to do. But we will have to give an account as a nation, before God, for our apathy and for the murder of over 50 million children in the womb,” she said. Jessen then pointed to her own life story in her plea to save the children. “You have failed, in your arrogance and greed, to see one thing: it is often from the weakest among us that we learn wisdom—something sorely lacking in our nation today. And it is both our folly and our shame that blinds us to the beauty of adversity,” Jessen continued.